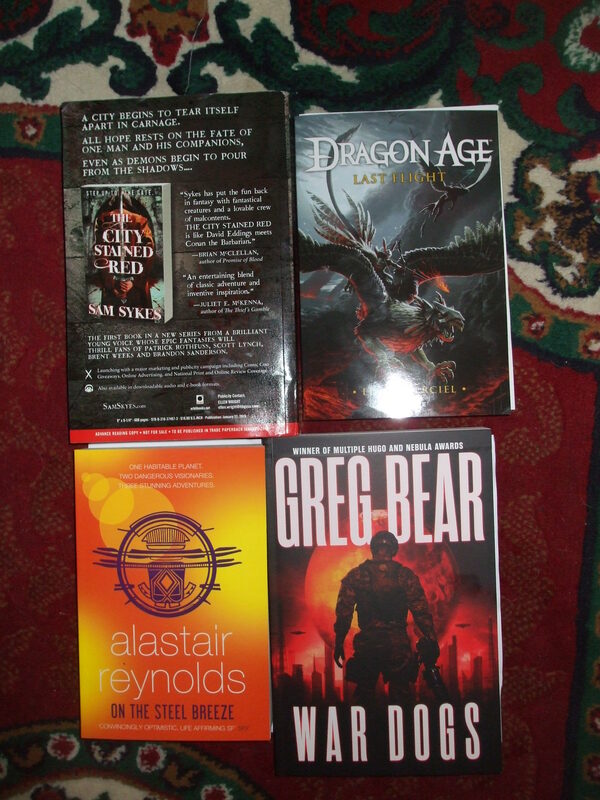 This entry was posted in SFF and tagged Alastair Reynolds, books, Greg Bear, Liane Merciel, Orbit, pictures, Sam Sykes, Tor. Bookmark the permalink. Reading The City Stained Red right now. Its rather splendid.